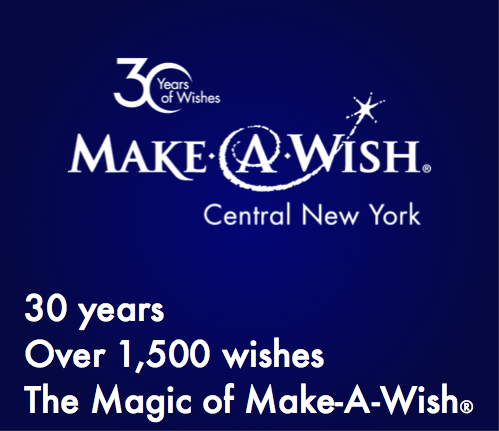 Welcome to “As you Wish,” the newly created Make-A-Wish® Central New York blog! Here we feature the many voices that make up Make-A-Wish – from current and former Wish Kids, Wish Families, and Wish Granters, to current and former Donors, Board members and staff. In this, our 30th anniversary year, we highlight all those who have connected with and been impacted by the magic of Make-A-Wish. We hope their stories will inspire you as much as they inspire us.